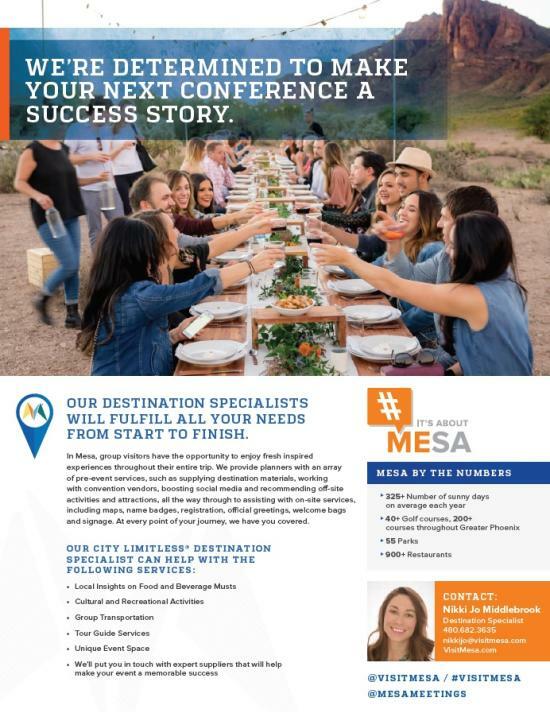 Book your next group in Mesa and our destination specialists will fulfill all your needs from start to finish. 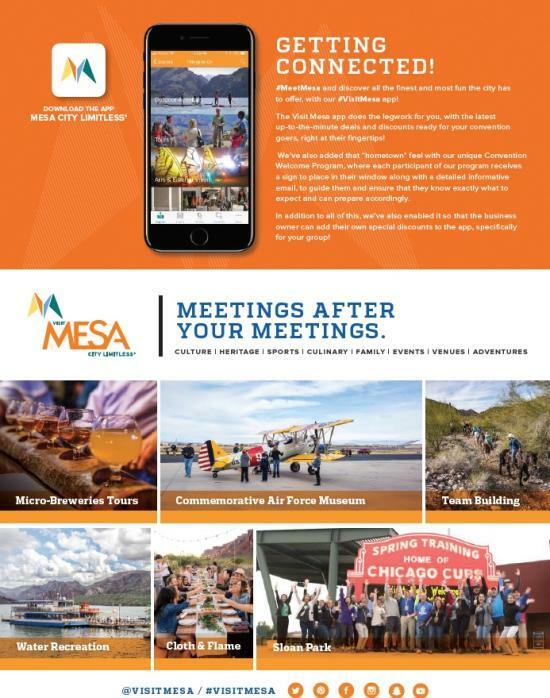 In Mesa, group participants have the opportunity to enjoy fresh inspired experiences through their entire visit. We provide group planners with an array of services, pre, post and throughout the conference, such as supplying destination materials, recommending off-site group venues and team building, all the way through to assisting with on-site services, including maps, name badges, registration, official greetings, welcome bags and signage. At every point of your journey, we have you covered. We are determined to make your next experience a success story. Click HERE to connect with our Destination Specialists.